The face of health care marketing is changing. While content marketing, social media marketing, mobile marketing and real-time marketing seem to be the prevalent strategies of 2014, many physicians are holding steady with some ‘old’ marketing methods – namely email marketing. 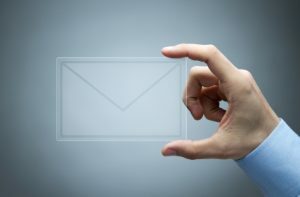 Email marketing continues to be a sound marketing strategy for physicians and hospitals looking to improve communication with patients, increase engagement and boost ROI. In fact, according to a recent Forbes article, patients and consumers who visit a website through email marketing shop more, spend more, and set more appointments. Open Rate – According to Marketo, open rates have increase from 19% in 2012 to 22% in 2013. What does this mean for a local physician? It provides him with greater access to his patients and potential patients. It provides him greater insight into a patient’s interests and likes. Be mindful of the Subject Titles you use, and correlate those with the highest Open Rate. You should easily be able to find a pattern between Open Rate and Email Subject Titles. All you have to do is rinse and repeat. Bounce Rate – Just as important as Open Rate is Bounce Rate, or how many individuals took one look at your email and bounced right off of it and onto the next thing. By consistently studying your Click Through Rate and Conversion Rate in correlation with the Bounce Rate, you should be able to determine the exact topics that subscribers are interested in, and the exact topics to avoid. Click Through Rate – Sure, in many facets of marketing and advertising the Click Through Rate is not the most important aspect of key metrics. But, in health care email marketing the Click Through Rate is extremely telling. Keeping your content relevant to your patient’s interests while providing a strong call to action can increase your Click Through Rate. Always be mindful of this number, because it is very telling in regards to patient likes and dislikes, and which Call To Action strategies are working better then others. Unsubscribe Rate – It can be a bit heartbreaking when you get an email from Constant Contact or MailChimp telling you that a patient has unsubscribed from your email list. But, don’t take it personally, take a look at it from a marketers point of view. Each unsubscribe is an opportunity to understand your target audience better. Conversion Rate – The single most important detail in email marketing key metrics is the Conversion Rate. If you can capitalize on this number and find the secret to turning email subscribers into new appointments, you have literally won the lottery. A recent Pew Internet and America Life Project study found that 88% of people check their email via mobile devices, which means your email marketing platform absolutely must be responsive to mobile devices. The days of making excuses for non-responsive emails have long gone, and if you do not develop a mobile email marketing plan you will easily be left in the dust. Confused? Talk to the email marketing experts at Quaintise.